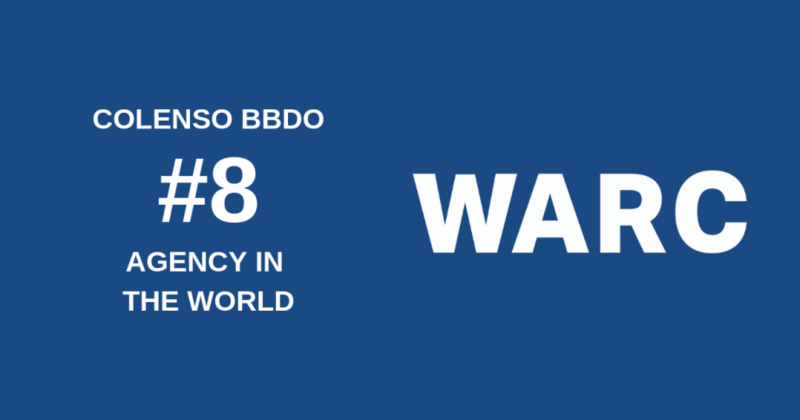 Colenso BBDO has been announced as #8 most creative agency in the world of 2019, according to the WARC Creative 100, formerly known as The Gunn Report. For the 13th year in a row, BBDO Worldwide has topped the rankings as the most awarded agency network across all marketing communications, with three network agencies in the Top 10 (BBDO New York #1, AMV BBDO #2 and Colenso BBDO #8). Colenso BBDO have featured in the Top 10 for the last four years, climbing from #10 in 2018. They were the only company from New Zealand to feature in the Top 25. Mars was awarded #1 Advertiser in the World, whilst Pedigree jumped up from #13 to #3 Brand in the World. More info: The WARC Creative 100 is an independent global index of creative excellence in advertising and the successor to the Gunn Report. The rankings feature the most awarded campaigns, agencies, networks, holding companies, brands, advertisers and countries, based on an analysis of the results of the most important global and regional creative awards shows in the world in 2018, as determined by the advertising industry. Every year, the editorial team at Contagious publish the Most Contagious Report. 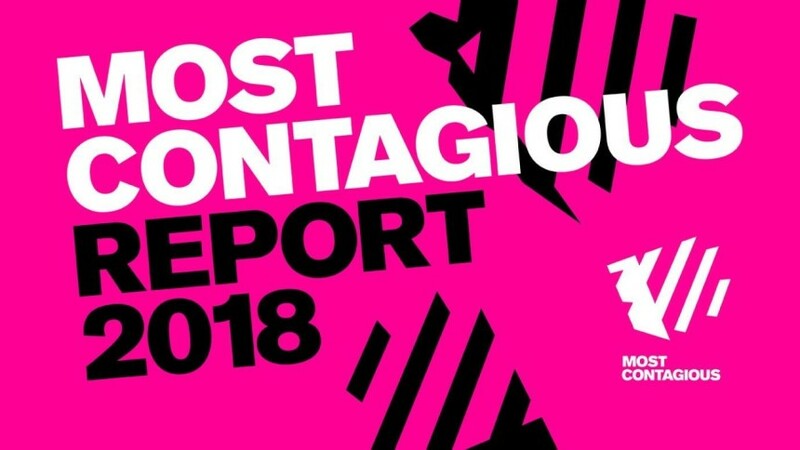 It’s their annual review of how the important shifts from 2018 are turning into the biggest opportunities for 2019, plus their round-up on the 25 Most Contagious campaigns of the year. You’ll see a familiar sight on Page 4, with Spark’s Kupu app being listed as one of the best examples of Machine Vision. So get your skates on. Download the report here. Innovation, ‘problem designing’ and creativity are at the core of Colenso BBDO’s future-facing framework. Scott Coldham (Managing Director), Edwin Rozells (Head of Transformation) and Gavin Becker (Head of Innovation & Ventures) chat with Laura Swinton (Editor in Chief at Little Black Book) to talk about where the agency’s heading. Colenso BBDO is an agency that has never been shy in its creative ambitions but recently it has been tapping into a deeper well. Back in 2011, it was a fairly standard-looking shop. Fifty people. A creative department. An accounts department. Planning. Production. A very recognisable advertising agency. These days, says MD Scott Coldham, while advertising and brand communications will always be a part of Colenso’s DNA the descriptor ‘advertising agency’ doesn’t sit so well. “We actually debate this all the time,” laughs Scott, who says the agency would ‘jump through the window’ to work on the big creative comms projects but that it’s now set up to deal with more complex, solution-agnostic client challenges. They’ve landed on ‘creative company’ for now. It does the job and is pleasingly unpretentious – and while other agencies seeking to transform have been ironing creases into their slacks in a McKinsey-esque makeover or have been pushing their art directors into the broom cupboard to make room for armies of data analysts, Colenso’s belief is that creativity will always be at the core of what they do. This year, a small town in South France saw 12,000 creative, technology, marketing professionals and brand owners representing some of the world’s largest and most influential companies descend on its beaches and formidable Palais. Since 1954, Cannes Lions has celebrated the most coveted creative work from around the world, often recognised as “the ultimate achievement in creativity.” This year was no different. With 32,372 entries from 90 countries entered into 26 categories, the chances of winning a Cannes Lion in 2018 was slim. In fact, less than a third of a percent of all entries won a lion. Over the course of the week, Colenso BBDO were humbled and ecstatic to pick up 2 Gold Lions, 1 Silver Lion, 4 Bronze Lions and 7 Shortlists. To be the only agency in New Zealand to win a Gold Lion, contributing to BBDO Worldwide’s “Network of the Year” and Omnicom’s “Holding Company of the Year” titles, was a phenomenal achievement. On March 8th at Auckland’s historical Shed 10, the AXIS Awards were held with 650 industry professionals in attendance to celebrate the industry’s best creative work from the past year. Agency of the Year was awarded to Colenso BBDO, retaining the title for the third consecutive year. Colenso BBDO picked up 24 silvers across the board and then multiple Golds for DB with Beer Bottle and Sand in Promo & Activation, in Campaign for Promo & Activation. Mars NZ with Pedigree’s Selfie StiX won Gold in Digital & Interactive’s Mobile category, plus Pedigree’s Child Replacement Programme won several golds in Magazine Campaign, in Promo & Activation, and then swept up a fiercely challenged Integrated Gold and then went on to win a Grand Prix. The crowning glory on the night was seeing Nick Worthington honoured with the “Lifetime Achievement Award” for his contribution to the New Zealand advertising and creative community. Fonterra Brands NZ proudly took home Client of the Year. Colenso BBDO, Auckland has ranked #2 most effective agency in the world in WARC’s results of the 2018 WARC 100, an annual global index of the world’s top marketing campaigns and companies based on their business impact. BBDO Worldwide remains the most awarded network for the fifth year in a row, having retained this rank since WARC 100 began in 2014. Its agencies contributed to four of the top 10 campaigns and 19 of the top 100. New Zealand has ranked #5 top country for effectiveness behind the USA, UK, Australia and India. To see the full results, please click here. Colenso have been named as 10th best creative agency in the world by The Gunn Report. Clients Mars (2nd) and Heineken (7th) were ranked in the Top 10 world’s best creative advertisers, with Child Replacement Programme ranked #3 creative campaign in the world. Four BBDO agencies were listed in the top ten creative agencies, including AlmapBBDO São Paulo which topped the list ahead of BBDO New York in second and Clemenger Melbourne in 7th place. BBDO Worldwide headed the networks table for a twelfth consecutive year with 36 different offices contributing to their total. McCann Worldgroup was in second place and Ogilvy & Mather third. The rankings, compiled by Gunn Report, analyse the results of more than 40 of the world’s most important international, regional and national creative awards shows. Colenso BBDO has been announced as #6 most creative agency in the world of 2017, according to global creativity report, Big Won. For the 13th time in 14 years, BBDO Worldwide has topped the Big Won Rankings as the most awarded agency network across all marketing communications, beating their nearest competitor, Ogilvy, by nearly 1,500 points – a record-setting margin. Colenso BBDO have featured in the Top 15 for the last 7 years running, ranking #1 in 2012 & 2017. To identify the best agencies across the globe, the Big Won rankings scours data from 4,586 pieces of work from 1,886 agencies across the globe. Colenso BBDO has been named one of ‘the best and bravest agencies on the planet’, after being placed #5 on the 2018 Contagious Pioneers agency ranking. That means Colenso now has the rare distinction of being the only agency to have appeared on the list for three years running, since Contagious Magazine first created the ranking in 2016. The top 10 agencies being honoured come from all round the world, and the list itself is based on coverage of each agencies work on the Contagious I/O intelligence tool during 2017. Colenso BBDO has been named as the 5th Most Effective Agency Worldwide in the Effie Effectiveness Index World rankings. Colenso was the only Australasian agency in the top 10 and was 3rd in the Asia-Pacific region. Over the last three years we have achieved a steady climb; being ranked 7th in 2015, and 6th in 2016. The rankings are compiled from over 40 worldwide Effie competitions and more than 3,600 Effie award winners and finalists, each of which has been subjected to ‘rigorous evaluations’ by industry experts and that are deemed to have achieved compelling results.